Once a version has been created, the maintainer can add further details and version behaviour via the Settings tab. See the Version Creation Help for details on creating version. Project Type settings by default inherits from project's settings but maintainers are able to select a different project type for the version. 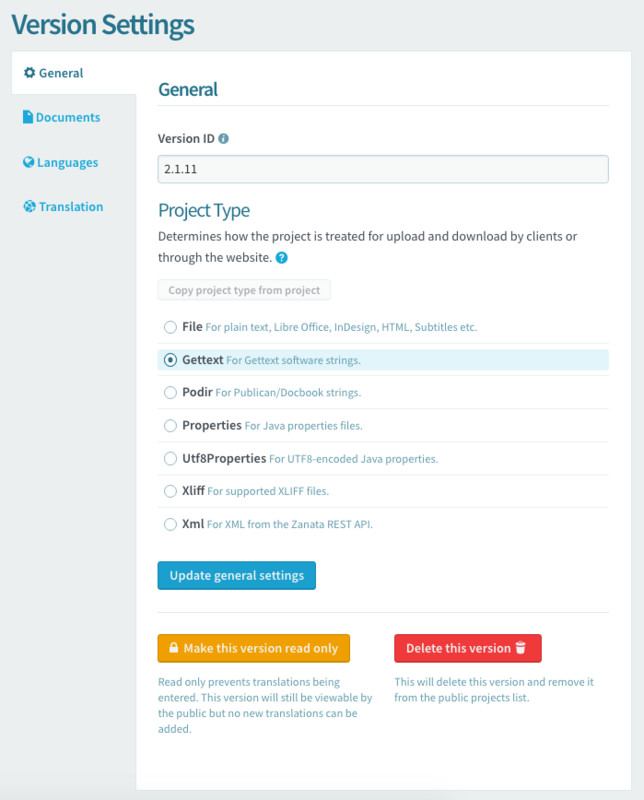 See Project Types and Project Settings for more information. This button is used to set a version to read-only, which prevents translations being entered. This may be useful in some cases, but should be used sparingly so that translators are able to work on your project. This button is used to delete this version and remove it from the public projects list. This action cannot be undone, so use with caution. Click + sign on top left in Documents tab under Settings. Browse or Drag your documents into the dialog and click Upload Documents. 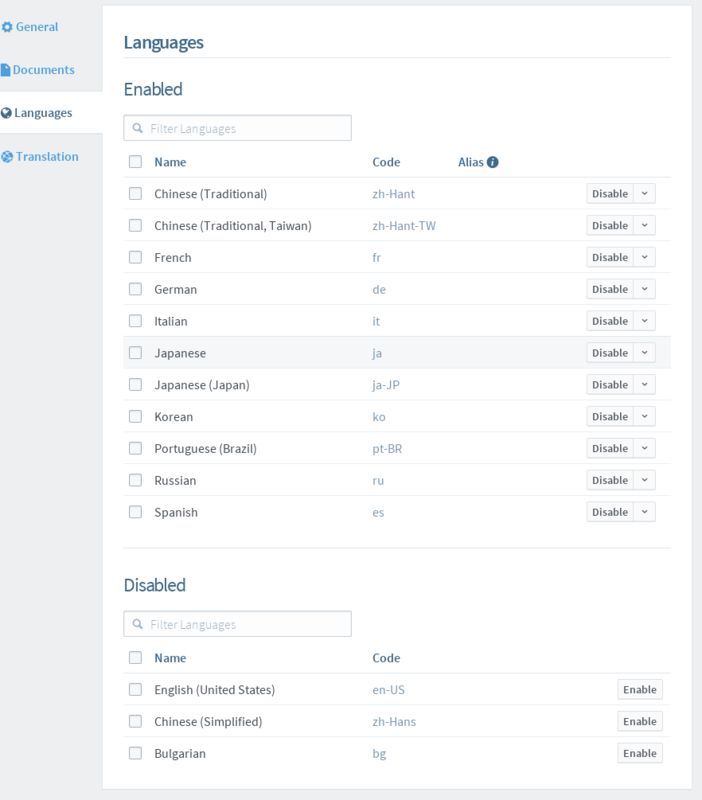 By default, your project will be available for translation to a set of locales defined for your project, or on the Zanata server if your project does not have customized locales. If your version requires a different set of locales from your project, click Enable or Disable button on right side of the locale. See Review overview for more information. If your version requires a different set of validations than the parent project, they can be selected here. If customized validations are not specified, the validations specified for your project will be used. An advantage of inheriting validations from the poject is that new validations can be added to the project without having to add them to each different version. For more information, see Project settings.